In 1994, the author published traditions and specimens of oral literature from Gwàɗ Làmàŋ speaking peoples, titled Our People's Own (Ina Làmàŋ). The edition features full texts, including English translations and annotations (see under additional material). The Chadic language family is a branch of Afro-Asiatic, and embraces more than 150 languages, whose bibliography is quite rich for number of publications. Since more than half of these languages are not so well documented, we should be grateful to the author for this recent publication, which is the latest work on this language he started to study in the late 1960s (p. 7), with a project which continued intermittently until early 2014. 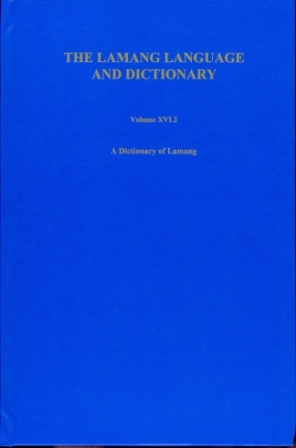 [...] one may say that the dictionary as well as the grammar does contribute in an excellent way our knowledge of this small language: Lamang, i.e. even more to be valued since the research conditions are presently not favourable in this border area of Nigeria and Cameroun. Hopefully the situation may change in order to shed more light on those Chadic languages spoken in this region.